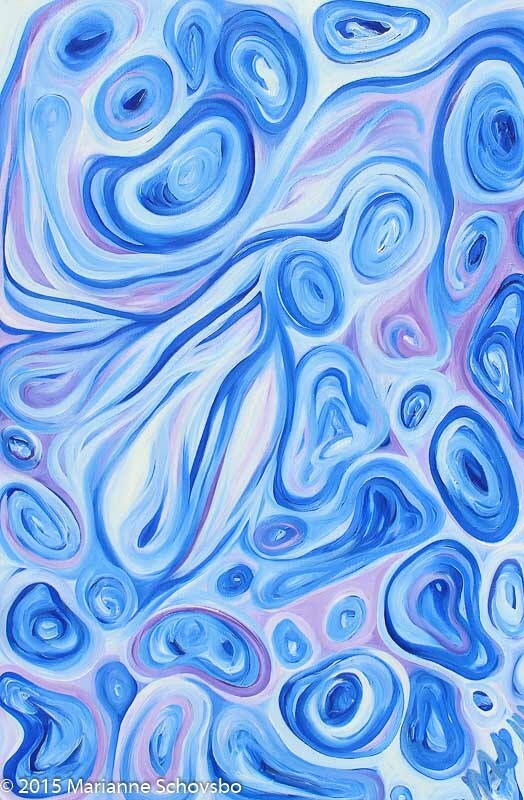 Oil on canvas 24″ x 36″ – painting extends to edges of deluxe gallery stretched canvas. Inspired by the swirl and motion of water off the coast of California. This painting is for sale or rent. Please contact Marianne about this painting.